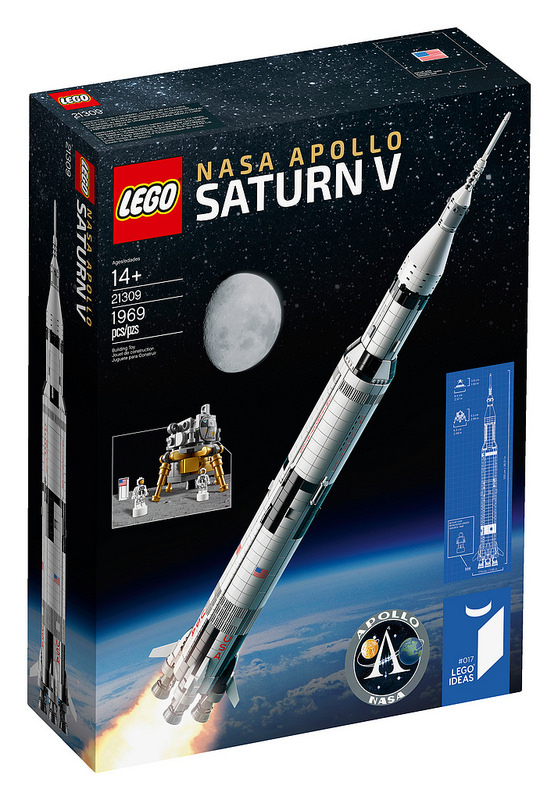 After an early tease of 21309 NASA Apollo Saturn V last month, today LEGO has officially taken the wraps off this massive 1:110 scale rocket. 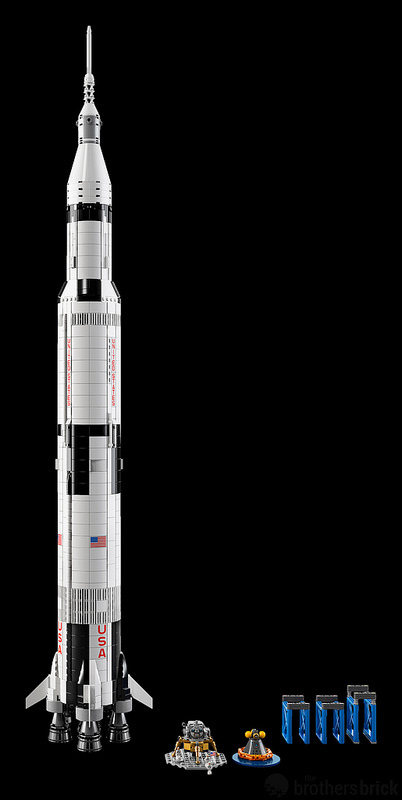 First announced last June, the Saturn V will be the largest ever fan-designed LEGO Ideas set with 1,969 pieces, giving even the part count a nod to the year of mankind’s first steps on the moon. The rocket itself stands 39 in. 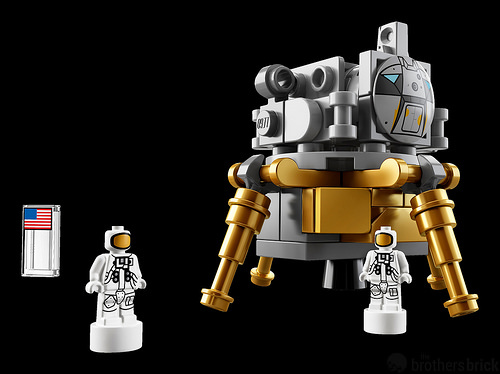 tall (100cm), and consists of all three stages with a full complement of the lunar orbiter, lunar lander, command module with flotation devices, and three astronaut microfigures. 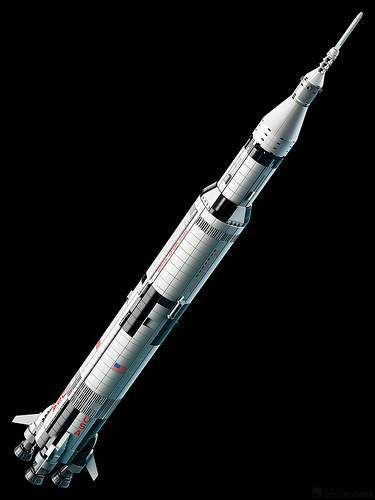 The Saturn V will retail for $119.99 USD beginning June 1, the same day as the just-announced 10257 Carousel. 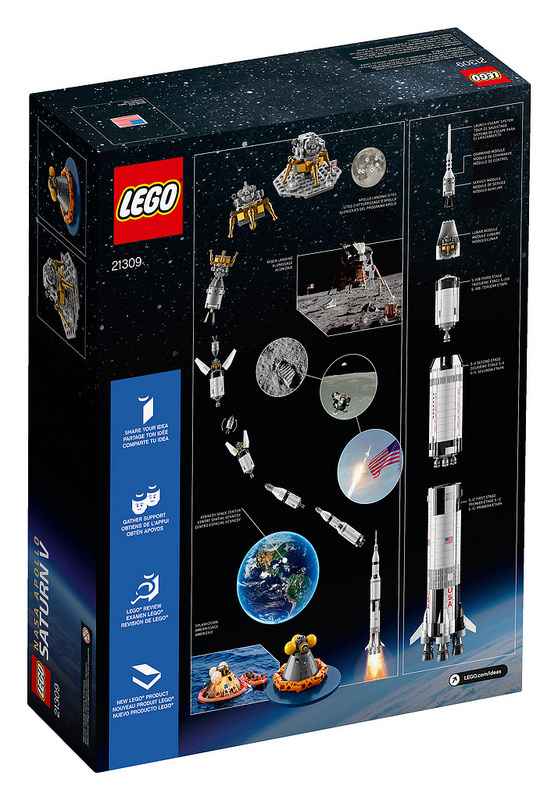 The Saturn V is the first of two upcoming LEGO Ideas sets based on NASA, with a Women of NASA LEGO set coming later this year or early in 2018. Stunning model, and less expensive than expected. This is a “must buy” for me. Take my money!!! Can we pre-order it? Nice observation Nick! I didn’t see that initially. At a time when I’m divesting myself of most of my brick collection, there’s no way I CAN’T get this. 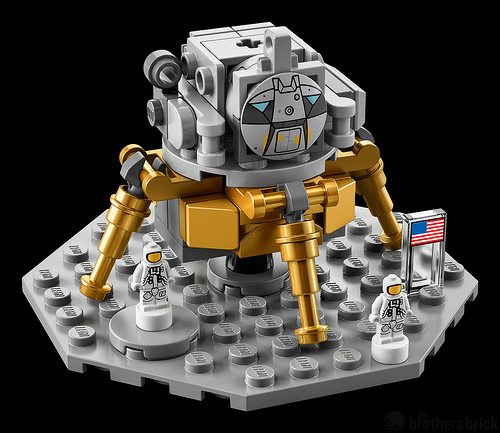 I especially like the award-size microfigs as astronauts, and the orange flotation pontoons around the CM, Oh, and frowny-face LEM is frowny. Even by todays standards, the Saturn 5 is absolutely amazing! Echo where to pre order? Pre Order option please!! 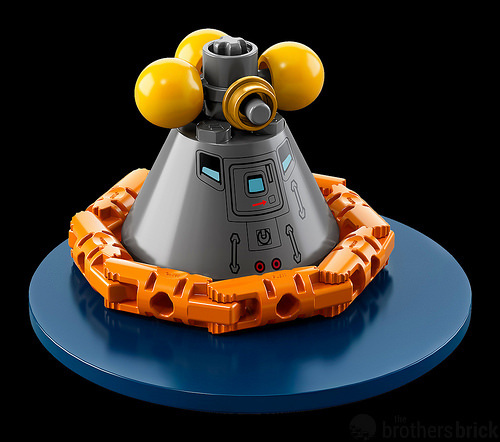 I can’t wait and don’t want to miss out on obtaining this set asap.